People with disabilities in rural communities have a higher rate of unemployment than their urban counterparts. RTC: Rural explores solutions to assist rural rehabilitation service providers in helping people with disabilities achieve and maintain employment. Click on the links below to learn more about our research as well as to see how our projects work across focus areas to improve the ability of people with disabilities to engage in rural community living. Read what we’ve discovered on our RESEARCH FINDINGS page. View Employment & Vocational Rehabilitation Fact Sheets and Reports at UMScholarWorks. Vocational Rehabilitation agencies purchase job development services from vendors. How vendors are paid influences service reach, delivery outcomes, and pacing. The goal of this project is to increase the quality and number of vendors that provide job placement and development services in rural communities. Self-employment is an important option for rural consumers of Vocational Rehabilitation services. The goal of this project is to develop and evaluate a state Vocational Rehabilitation self-employment process. Self-employment is an important option for people with disabilities, especially in rural areas where job opportunities are limited. Previously, RTC:Rural developed the Vocational Rehabilitation Self-Employment Guide. This project will pilot and evaluate this website, as well as create, pilot, and evaluate a new culturally appropriate translation for use within the tribal vocational rehabilitation system on American Indian reservations. In keeping with current job-search methods, Vocational Rehabilitation counselors should have capacity to guide consumers on the use of social media for a wide range of job-search and related tasks. This project will develop a recommended state Vocational Rehabilitation policy to guide use of social media and develop and evaluate training for VR counselors. We compiled 2008 and 2009 RSA-911 data with zip and county code information from 47 VR agencies and used these data to compare rural and urban caseloads and outcomes. As compared to urban, rural caseloads had a higher rate of transition aged students and a lower rate of consumers with mental health disability. Outcomes were different in terms of closure rates to self-employment, supported employment in integrated settings, and time to IPE plan development. Rural and urban data comparisons provide the basis for more targeted evaluation of VR delivery practices. People with disabilities often experience health problems such as pain, weight gain, or high blood pressure. These problems can make it difficult to hold a job. Participation in health promotion programs can have positive effects on health but services are often limited in rural areas. Health Plans to Employment is a virtual health promotion program that consumers can access from their homes. Consumers leave VR services for a number of reasons. Some leave because services are too slow, they are unable to find a job, or they have problems connecting with the VR counselor. Sometimes consumers are frustrated because promised services are not forthcoming. Finding solutions to these problems will save valuable VR funding as well as improve outcomes for VR consumers. People in rural areas have trouble getting to in-person meetings with VR counselors because of transportation barriers. Telecommunication may be one way to increase services to these consumers. Research on this topic led to the development of the Telecom Toolbox, an online service designed to educate VR counselors about using telecommunications to serve consumers. This project developed a process for people with disabilities and agencies that provide disability services to assist with economic development in rural areas. One outcome of the project was a grant that supported low-income entrepreneurs and led to the development of 79 small businesses. This project identified differences in rural and urban counselor attitudes and their use of self-employment as an employment outcome. Rural counselors used self-employment at higher rates than urban counselors, but both desired additional training in how to support consumers in business development. This project collected and analyzed state Vocational Rehabilitation agency policies and procedures on self-employment to develop a model policy for adoption. 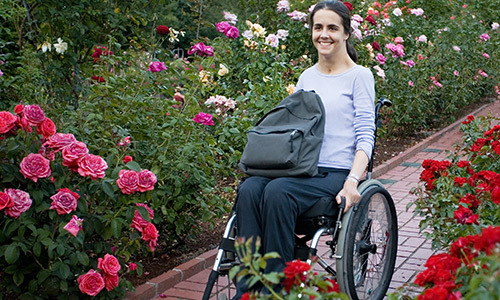 People with disabilities are self-employed at higher rates than the general population. This study surveyed entrepreneurs with disabilities to learn more about their successes and challenges as business owners. VR counselors are trained as employment counselors, not business developers. In order to provide services to consumers who want to start their own businesses, counselors need information and training. To address this gap, we developed a training designed for VR counselors to help them provide better services to people who want to be self-employed. This project focused on encouraging VR agencies to work with Small Business Development Centers. This collaboration is sometimes hard because each agency has different responsibilities. RTC: Rural looked at the ways in which the services provided by each agency overlapped and developed a process for collaboration. The RTC: Rural and the Abilities Fund hosted a national conference to advance the cause of self-employment for people with disabilities. The conference focused on consumer access to capital. Worker cooperatives have a long history in rural America. Members of the cooperative co-own and manage the business and share costs and responsibilities. This project researched and described ways for people to organize and manage worker-owned businesses. Working Well with a Disability (WWD) is a program that was developed to help people with disabilities find and maintain employment by setting goals and improving their health. It was adapted from the RTC: Rural’s health promotion program, Living Well with a Disability (LWD). Researchers who developed LWD found that the healthier people are, the more they are able to do. The WWD program builds on LWD but focuses on consumers who are employed or seeking employment. The American Indian Disability Technical Assistance Center (AIDTAC) was a national center providing information, training, and technical assistance to vocational rehabilitation and employment-related services assisting American Indians and Alaska Natives with disabilities. This is an online, self-employment training program for vocational rehabilitation counselors, counselors working in Section 121 programs and students pursuing a degree in vocational rehabilitation. Telecom Toolbox is an online resource for Vocational Rehabilitation counselors to help build their capacity to use online communication methods while providing services to consumers. Working Well with a Disability is a peer-led health promotion workshop that focuses on creating a healthy and balanced lifestyle that supports employment. Training is available.